Everyone was refreshed this morning from a good night’s rest and a nice dinner the host families provided. 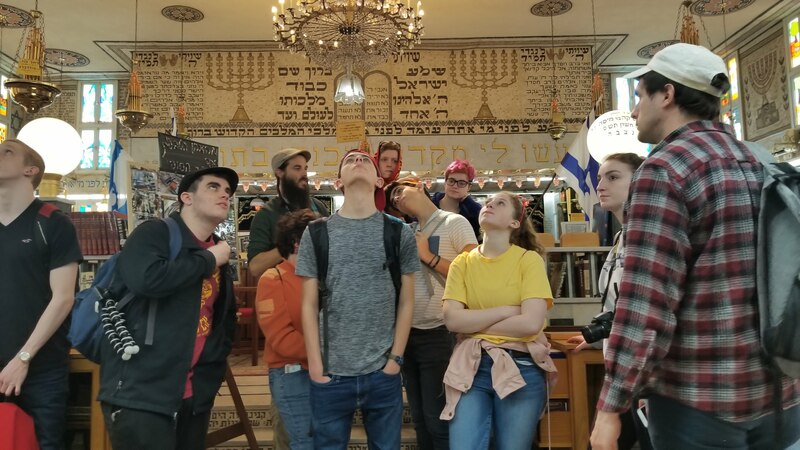 After a long 20 hours of remarkably smooth traveling, we were all eagerly ready to begin experiencing Israel! 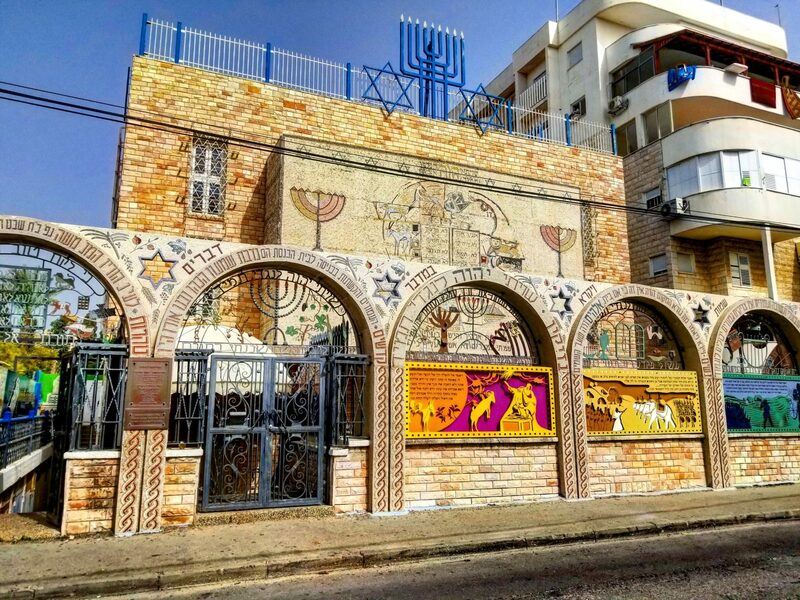 By 8am we were on a bus making our way north from Haifa to the ancient port city of Akko situated on the the Mediterranean sea. Everyone was in great spirits as we set off on the walk to meet our amazing tour guide Adam, who would be showing us around. We talked about the rich history of the area and why it is so legendary. 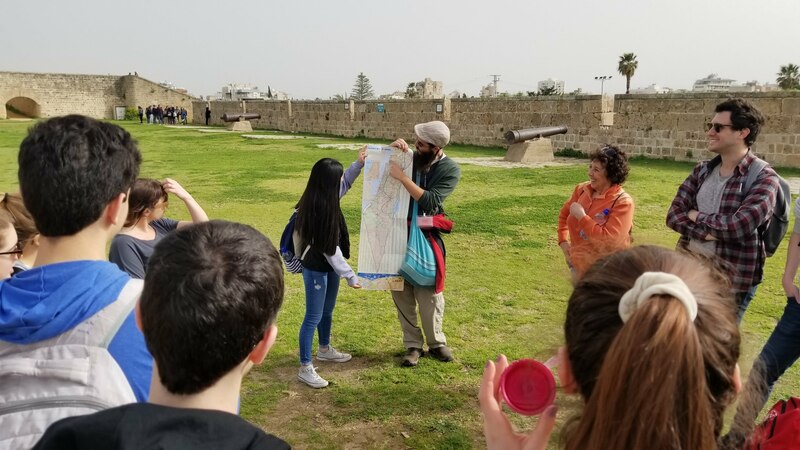 The HiBur group didn’t shy away from engaging with Adam, asking many many curious questions about Akko, and interacting with the vast sights and diverse culture! We ventured down to the old city where we found ourselves squeezing and ducking through underground tunnels and into beautifully architected subterranean fortresses. One of the highlights was visiting the Tunisian Synogogue with the interior made entirely of detailed mosaic art, everyone was in awe. There was a lot of excitement and high energy from the group, especially… when they found out we were on our way to lunch! Falafel it was in the old city market place! 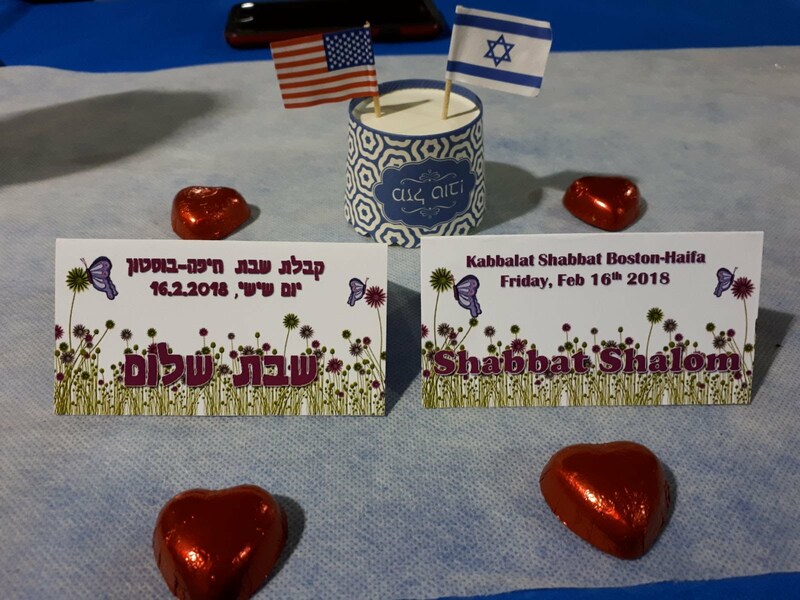 From there we returned to Haifa where the host families picked up the Americans and spent quality time together, until everyone met back up at the school, Hugim, in the evening where each family brought a homemade dish to share and celebrate Kabbalat Shabbat!